Mean/High Speed There are 8 products. Averoil TIR 15W40 is a SAE 15W40 SHPD engine lubricant, recommended for lubrication of turbocharged and naturally aspirated Euro II / III engines and earlier with EGR, without SCR and without DPF. Averoil Global 15W40 is a high performance SAE 15W40 SHPD Extended Oil Drain Interval (EODI) engine lubricant, recommended for lubrication of Euro IV / V and previous turbocharged engines with or without intercooler and natural aspiration engines fitted with aftertreatment systems (EGR valve, SCR Catalyst). 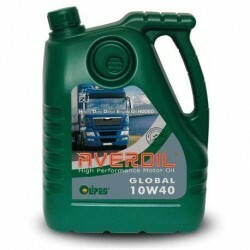 Averoil Global 10W40 is a high performance, world quality synthetic lubricant for aspirated diesel and turbo engines and with state-of-the-art high supercharging rate (S.H.P.D.O.). 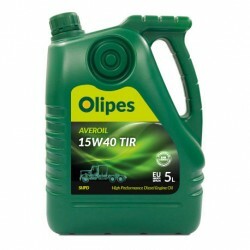 Averoil FAP 15W40 is an Extended Oil Drain Interval (EODI) SAE 15W40 High performance Mid SAPS lubricant formulated with synthetic bases. Maxicer T15 SAE 30 is a product formulated with highly-refined mineral oils and motor additives with a high capacity for the absorption of corrosive gases generated during combustion. Maxicer T15 SAE 40 is a product formulated with highly-refined mineral oils and motor additives with a high capacity for the absorption of corrosive gases generated during combustion. Maxicer T15 SAE 50 is a product formulated with highly-refined mineral oils and motor additives with a high capacity for the absorption of corrosive gases generated during combustion. 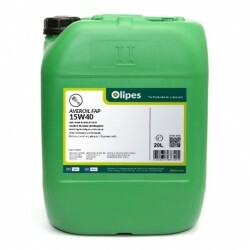 Maxicer T15 SAE 15W40 is a product formulated with highly-refined mineral oils and motor additives with a high capacity for the absorption of corrosive gases generated during combustion.